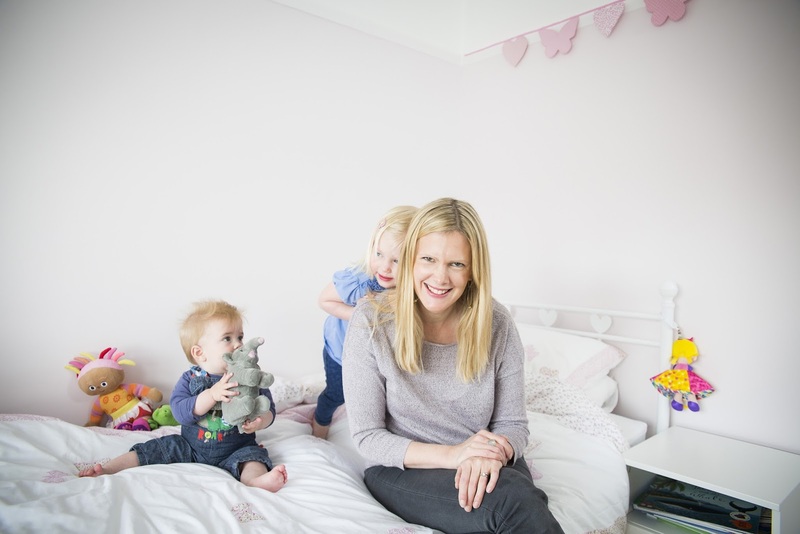 Expectations of Motherhood: It was a fairly long journey to motherhood for me. I had longed for children since the latter half of my twenties and then, sadly, the long term relationship that I was in floundered. I had to wait to meet the right person to marry and have children with. This happened in my early thirties and we started trying for a baby straight away. However, we had to face a couple of miscarriages before successfully conceiving our daughter. Based on the strong bond that I had with my own wonderful mother, I expected motherhood to be the most amazing thing and couldn’t wait for the experience of getting to know my baby and all the fun things we would do and the love that I knew I would have for that much wanted child. Sophie’s second name is ‘Arabella’ which means ‘much prayed for’ – and she was. Reality of Motherhood: The birth of my first daughter was a fairly traumatic experience resulting in an emergency C-Section in which I lost rather a lot of blood. The first couple of days of being in hospital were therefore spent in a slight haze of Morphine. I will never forget the first night that we were together and lying awake while she slept, just staring at her and loving her with such a powerful all encompassing love and feeling so intensely happy (I am sure that this was not just the morphine!). Those feelings have not gone away and are the cornerstone of how I feel about both of my children. The main reality of motherhood for me is that it is a dream come true. There is nothing more amazing for me than to watch my children develop and grow, and a single smile or moment of fun instantly makes up for the constant tiredness that has become a way of life for me now. The reality is ALSO that it is hard and it is relentless – waking in the night continuously to feed, change, comfort and then to spend the day feeding, changing, playing, stimulating, and cleaning up after the children. It is physically demanding and mentally draining – but it is ALL worth it. Taking your children home for the first time: Having been in hospital for over a week with Sophie we felt fairly institutionalised by the end of our stay. It was very strange to see normal people walking along the street while we drove (very slowly) home with our new little bundle in the back. I felt like I should be shouting out of the window – ‘look I have had my baby – isn’t it amazing’. Getting home was a lovely time – we had family there and we put the baby in her carrycot and generally just enjoyed what felt like a massive achievement. 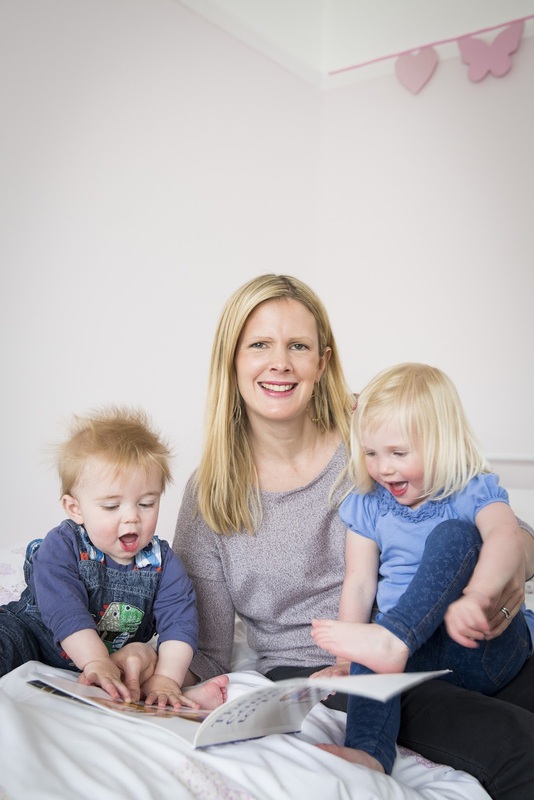 The physical pain of having an emergency C-Section with each child marred the joy a bit and meant that we needed family to stay and help so we weren’t on our own for at least a couple of weeks in each case. I think that this eased us in gently and I am grateful for that. The best/worst advice: The best advice for me was to sleep while the baby sleeps and this is what I did. I have always been a cat napper, and the moment the baby went off I would curl on the sofa with my red blanket and sleep until crying woke me. These power naps really helped me to get through the day. Another amazing piece of advice was a friend who said, ‘Be kind to one another’ – parenthood can bring out such strong emotions in you, particularly if you are stubborn and opinionated, as are myself and my husband, so sometimes you have to take a step back and just be kind. I can’t think of any bad advice really – but each baby is different and you have to get to know what works for your baby and trust your own instincts as a mother. The hardest parts of being a mother: For me the hardest part is dealing with the anxiety that I experience daily with regard to each of my children and the responsibility of them. I have always been a worrier but my levels of anxiety over the last two years have really peaked. My imagination runs riot with things that could happen and in hindsight I think that my traumatic birth experiences may have not helped this. The way that I am learning to deal with this is to take each day at a time and concentrate on the moment – and to enjoy the moment for what it is. Another difficult part has been accepting that I have to put my own life and aspirations on hold for the moment and concentrate on ‘growing and nurturing’ my children. I was made redundant whilst on maternity leave with Harry and whilst it is a relief not to have that particular job any more I have been placed in a dilemma, as the industry that I was in (law) does not generally practice child friendly hours and I am reluctant to go back to full time work whilst my children are so young. Because of this I have had to accept that, for now, I am a full time mum and am trying to learn that I don’t need to qualify this every time I am asked what I do by stating what I used to do as a job. It’s a humbling experience, but I am getting there! The best parts of being a mother: Where do I start? The smiles, the laughter, the feeling that now we are a real family, the love that grows stronger every day. I love that I am starting to forge a relationship with my daughter and she tells me things and we laugh together. I love watching my husband being an amazing dad and the care and love that he showers on our children. Has becoming a mother changed you? Absolutely. It has made me less selfish and much less inclined to care about what other people think of me as I simply don’t have the time for it. My children are my world now – not my job or myself. Hopes for your family: My hope is that my children will grow to be confident (unlike me who has always suffered with a lack of confidence) and will feel loved and supported throughout their lives. I hope that we will retain our sense of laughter and fun as a family and always love each other and be there for each other and have adventures together. What advice would you offer to new and expectant mums? Join an NCT group – I have found such support and friendship in mine and wouldn’t be without it for the world. Also, try and take pleasure in all the little things that everyday brings – the smiles, the cuddles and the love. They far out way the general knackeredness and the state that your body gets into after having a child!